Moving the pattern of drawing and conductor path from PCB layout with screen printing technique. Move the drawing pattern and the path of the conductor from the PCB layout with the PCB transfer paper. Besides using chemical techniques and screen printing techniques, you can also use other media to move the PCB layout image pattern, by using PCB transfer paper. Compared with chemical techniques and screen printing techniques this way can be said much more easily, cheap and practical so suitable for students and students who have a limited cost. 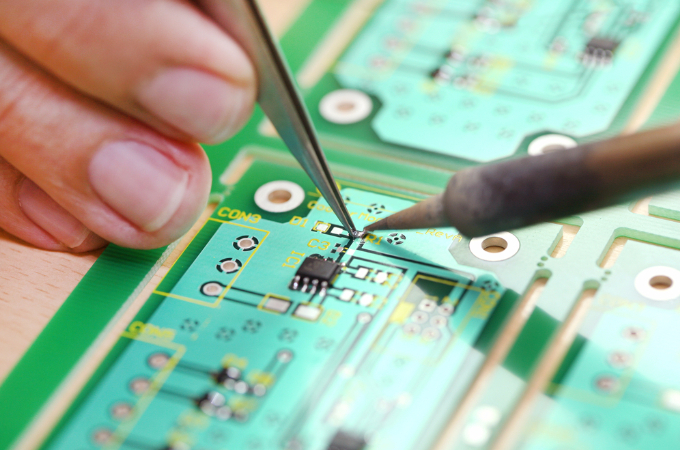 PCB transfer papers can be purchased at stores that sell electronics components. The form of PCB transfer paper is the same as the paper in general which is plain white and unlined. However, the difference between plain paper and PCB transfer paper is on the paper-forming material. PCB transfer papers are specially designed to be able to move the PCB series path pattern from the toner (the ink powder commonly used in laser printers or copiers) to the PCB copper layer.